This is the king of red wines. It is the great Bordeaux grape of France and the grape that made the Napa Valley famous. Cabernet Sauvignon is generally one of the most age-worthy wines and among the most expensive wines in the world. According to the wine scholars, Cabernet Sauvignon was a chance happening when Cabernet Franc was crossed with Sauvignon Blanc. This occurred in France in the 17th century. California Sauvignon is grown widely in California but most notably in the Napa Valley, Sonoma County, and Paso Robles. 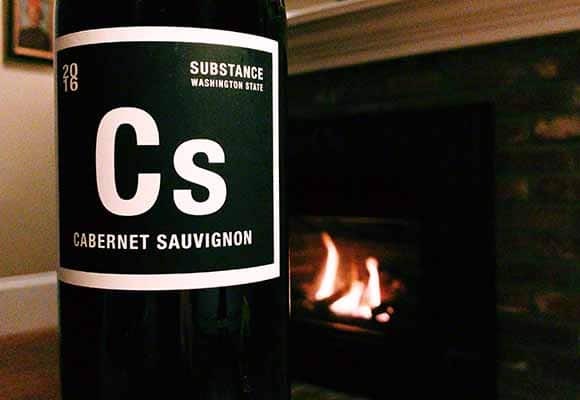 The state of Washington also produces some lovely Cabernet Sauvignon wines from the Columbia Valley and its sub-AVA regions. Fortunately for the wine budget-conscience consumer, there are plenty of delicious and wonderful Cabernet Sauvignon wines that can be found for under the $20 mark. When one selects the proper Cabernet Sauvignon and ages the wine in perfect cellar conditions, that $20-wine can become in a very expensive bottle of wine in 5 to 10 years. The food of choice with a fine Cabernet Sauvignon is a juicy steak. Cabernet Sauvignon can exhibit aromas and flavors of cassis, blueberries, black currant, tobacco, vanilla, plum, coffee and more. Tannins are present and they can soften with aging. The classic wines of Bordeaux are mainly Cabernet Sauvignon and are blended with all or some of Merlot, Cab Franc, Petite Verdot, and Malbec. Napa Valley Cabernet Sauvignon may also be blended slightly, but many are 100% Cabernet.